I was excited for this book to come out and wasn't disappointed. In a post-apocalyptic Savannah, everyone who dies reanimates as either a woken (zombie-like killing machine) or chosen (super strong being with amazing self-healing). Killing either is incredibly hard. The story follows Sam, a young woman who's always dreamed of following her father's footsteps by joining the watch. I love stories with a strong female lead, and Sam is one awesome woman. At the beginning of the book, there's a lot of description of the world Sam lives in. Although it's interesting, character development takes the back seat. I had a hard time connecting with the early deaths in the book, especially since Sam seemed pretty unaffected by them. Despite that, I couldn't put this book down. 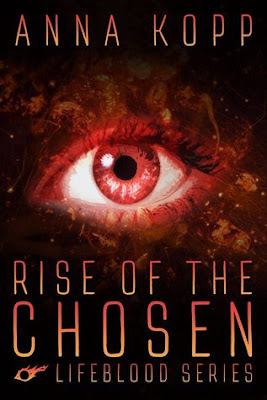 The action kept ramping up and Sam learns that there's much more to the chosen than she thought. The story ends with a bit of a cliffhanger, and I will definitely buy the next book in the series as soon as I can!